Elderly drivers sometimes get a bad rap, but is the reputation backed up by statistics? In 2015, there were 40.1 million licensed elderly drivers in the United States. Look at elderly driving facts to learn what statistics say about the risks elderly drivers face. According to the Centers for Disease Control and Prevention (CDC), the number of licensed senior drivers has increased by 50 percent from 1991 to 2015. On average, drivers age 70 and older, drive 45 percent fewer miles than drivers ages 35 to 54. The Insurance Institute for Highway Safety reports that drivers, ages 70 or older, are traveling more as their yearly mileage increased by 42 percent from 1996 to 2008. As your loved one ages, he may experience increased visual, mobility, and memory impairments. These impairments may greatly impact his driving abilities or his ability to react to dangerous situations. There are a variety of statistics that support this. The CDC reports older men have a higher death rate from car crashes as compared to women. Studies also indicate fatal crashes-per-miles-traveled increased for individuals, ages 70 to 74. This number of fatal crashes-per-miles-traveled is highest among drivers ages 85 years or older. The number of seniors involved in multiple-vehicle crashes at intersections grows exponentially for individuals ages 60 to 64. Multiple-vehicle crashes accounted for 40 percent of fatal accidents in drivers age 80 and older compared to 20 percent of drivers ages 16 to 59. Because drivers share the road with pedestrians and cyclists, it is essential a driver is alert and aware of her surroundings. Failing vision or driving during difficult road conditions, such as bad weather or during rush hour, can put older drivers at higher risk for pedestrian-involved accidents or death. A 2015 survey by the Insurance Institute for Highway Safety reported seniors, ages 85 years and older, had the highest rate of pedestrian death (4.4 per 100,000). This rate was higher for males among all age groups. It's no surprise, cell phone or internet use while driving can cause someone to become distracted behind the wheel. In a 2014 survey, the AAA reported that more than half of drivers ages 65 to 69 reported talking on the phone while driving at least once in the past month, and 12 percent of these drivers do so regularly. However, drivers age 70 and older were less likely to engage in this dangerous behavior. Not all statistics on senior driving paint such a grim picture. Generally, seniors are more likely to participate in car safety strategies such as using seat belts and avoid not drinking and driving. Most drivers in the United States wear seat belts. This is particularly true for the senior population. The 2014 survey by the AAA revealed that only 18 percent of drivers ages 65 to 69, 16 percent of drivers ages 70 to 74, and 25 percent of drivers age 75 or older reported driving without a seat belt in the past 30 days. The CDC also reports that 60 percent of passengers ages 65 to 74 and almost two-thirds (69 percent) of vehicle passengers, 75 years or older, were wearing seat belts at the time of their crash as compared to 38 percent of passengers ages 21 to 24. Impaired driving, whether it's caused by excessive alcohol intake or driving under the influence of street or legal narcotics, is dangerous and is responsible for many bodily injuries and traffic fatalities each year. The CDC reports that approximately, one-third of all traffic accidents in the United States involve drivers with a blood alcohol concentration (BAC) of 0.08 g/dL or higher. Fortunately, older adult drivers are less likely to drive impaired when compared to other age groups. The AAA reports only six percent of drivers, ages 75 years or older, involved in fatal crashes had a BAC of 0.08 g/dL or higher. 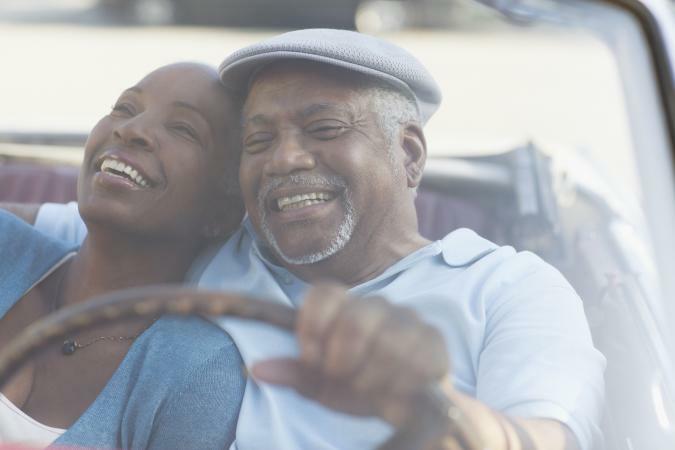 Many seniors may have outlived their ability to operate a car safely and as a result, many states have implemented special provisions for older drivers to renew their driver's license. The provision requiring drivers ages 75 years and older to renew their license in person and pass a medical screening was supported by 70 percent of drivers 65 years and older. Operating a car safely requires sharp physical and cognitive abilities, driving skills, and safe driving behaviors. Assess your loved one's ability to remain safe behind the wheel and have an open and honest conversation about driving and their privileges.